Kale is of great nutritional value to you; the leafy vegetable contains betacarotene, vitamin K, vitamin C & calcium just to name a few. It is a form of cabbage and kind of reminds me of brussels sprouts. When I was younger, I never really enjoyed brussels sprouts because simply, they just didn’t taste good. As I grew up, I somehow began to enjoy them (that usually tends to happen with food as you grow older!) and one dish that I salivate when I think of is the brussels sprouts from Trattoria (and other Glowbal Group restaurants, Vancouver). A tad salty sometimes, but oh so delicious! I never really tried kale until maybe a couple of years ago. It was accompanying a main dish and I never really thought much of it. However, after hearing so much lately about the health benefits of kale, I decided to incorporate it more into my diet. I previously made a kale soup that was quite yummy! Anyways, upon hearing lots about kale chips, I decided to try it out myself. One word: Amazing! It is also super easy to make. First you need to wash, rinse and cut the kale. 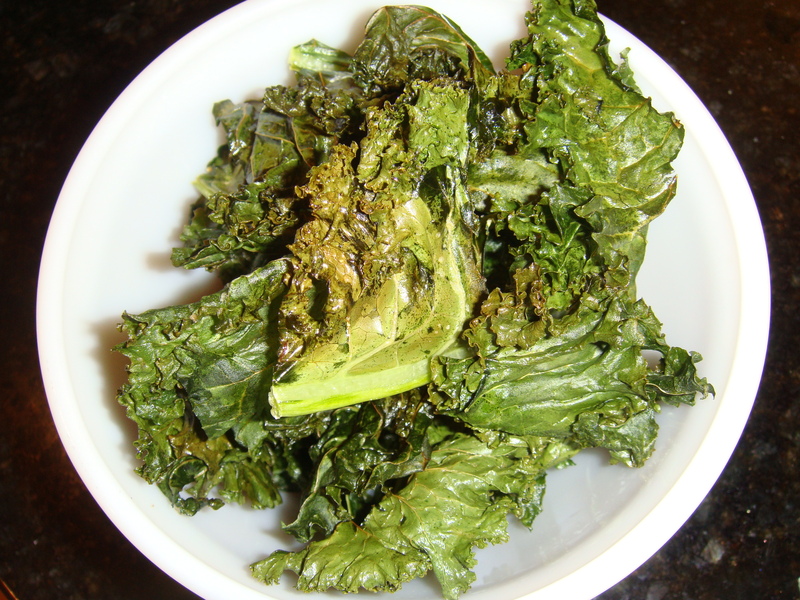 Chop the kale into pieces that are slightly larger because they tend to shrink once baked. Once you do that, you need to completely dry the kale and I suggest using a salad spinner if you have one. If not you can use paper towels and press as much water out as you can. 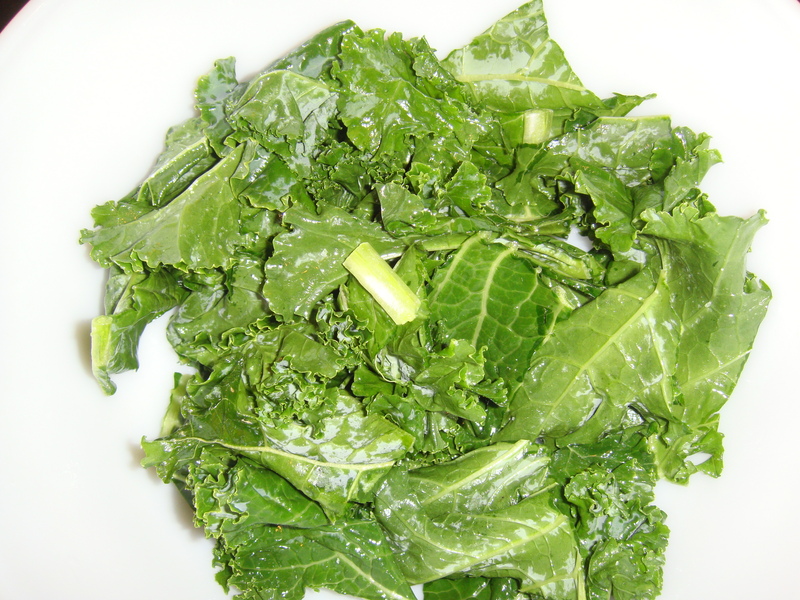 Next, toss the kale into a bowl, drizzle the evoo on and mix with a spoon (or your hands if you’re feeling adventurous). You want to make sure to coat every piece. After that, just add the salt & pepper and you’re done! I don’t have an exact measurement of the salt & pepper as I just eyeballed it. You don’t want to add too much salt though because the saltiness also tends to enhance when baked. 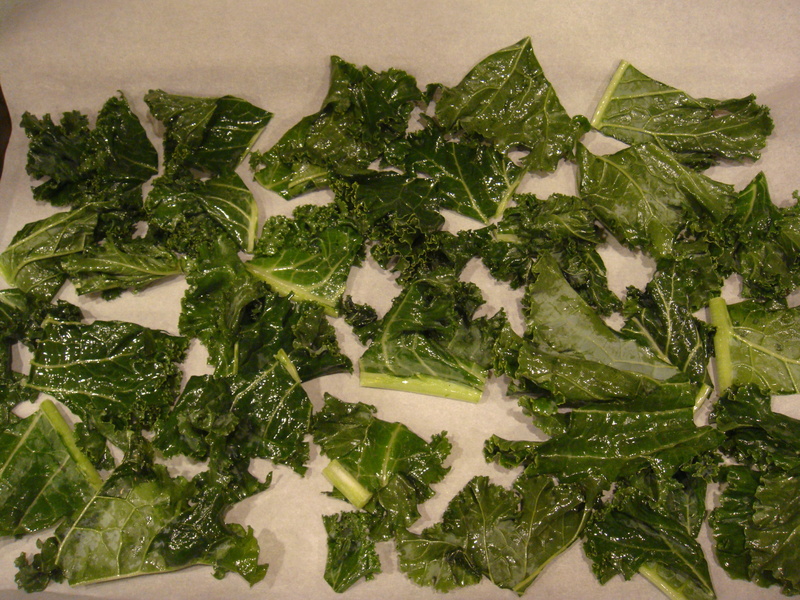 Spread the kale in a single layer onto a parchment lined baking sheet and pop it in the oven for 15-20 mins until it looks crispy, but not burnt.